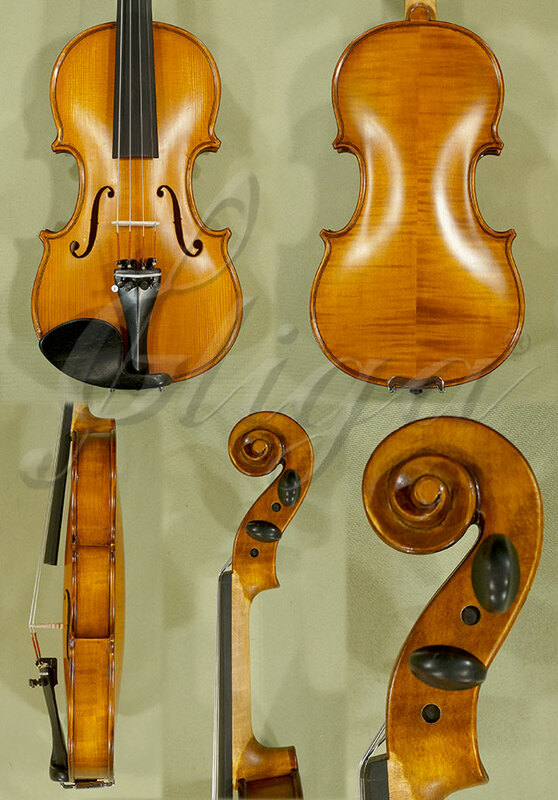 The standard Genial 1 violin is set up with Romanian Steel strings and a standard tailpiece with 4 fine tuners. To change these settings, use the options at the top of the page. To select a case and a bow go to the top left menu and choose these items independently, or you can use these links for a 1/4 violin case and a 1/4 violin bow. All items will be shipped at once, in the same package. All orders will be processed immediately and shipped out to you within 48 hours. Orders received on Friday or over the weekend will be mailed out on Monday. Click the button below to add the 1/4 Gems 2 Intermediate Level Student Violin - Code C3824V to your wish list.